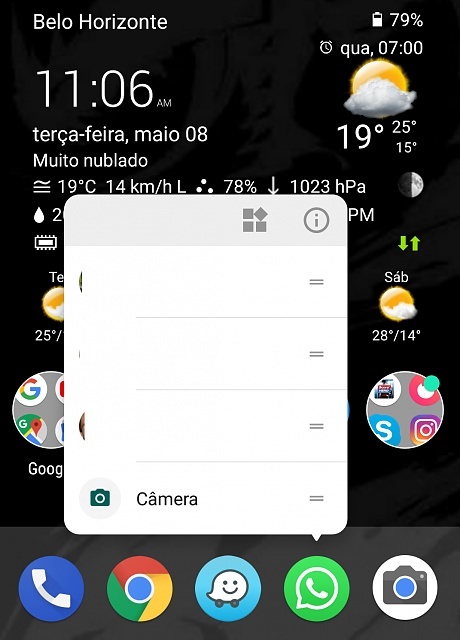 After the last update (2.18.9) I can't disable the annoying WhatsApp popup (showing on top of screen) , somehow the app override my settings config. Have you tried changing the setting inside the app itself? I am experiencing the same issue. Tried in-app settings and Android settings. The app seems to be overriding any Android settings. Anyone figure out how to resolve this? Have you tried in settings - notifications - WhatsApp - show silently? i started a thread on the same issue https://forums.androidcentral.com/as...=1#post6139636 - yes this is really annoying, im on Pixel2 and my settings keep reverting to default even after changing it multiple times. I've tried everything that people have mentioned here but nothing works. GOOGLE HELP!!! Change the notification setting to high. Then turn off your phones notification sound. This will result in you receiving silent whatsapp notification. I had the same problem. Found a solution on the other topic someone posted here. You can always alter these settings according to your need. For example, you can disable sounds for group messages and keep sound for private chats. I can't seem to do the steps you have outlined. When I hold on the icon, my only options are to remove from home screen, uninstall and "select items"
where else can i go to set the priority?? Which Android version is your phone currently running? The features I described (notification channels) were made available on 8.0 (Oreo) so please make sure you're on that version or newer. Also, not all apps have that feature. If you do have a supported Android version, please refer to the below link which has a detailed guide on how to make it work. By the way, this is what it looks like after you tap and hold the icon. there is no error, and google does not do something without being able to customize its options and more referring to notifications. To disable the pop-up window go to "Settings> Notifications> (go down until you find whatsapp) enter> enter group notifications and message notifications> importance> select" High "(which is just sound). By default it is in Urgent (which is sound and pop-up window on the screen). I hope that is the solution that several users are looking for. Is it the same with when I get a WhatsApp call, say from A and I don't want to hear a whatsapp notification sound that is coming in ,say from B while I'm talking on the whatsapp call with A. After searching many forums found a simple solution. 6.Choose the annoying chat and disable the pop-up. On my Samsung s9 I accidentally activated "smart pop-ups" which resulted in these frustrating little WhatsApp badges that popped up any time I got a message. I disabled this by going into ADVANCED FEATURES >> SMART POP-UP VIEW.